The familiar blue and yellow livery of the No. 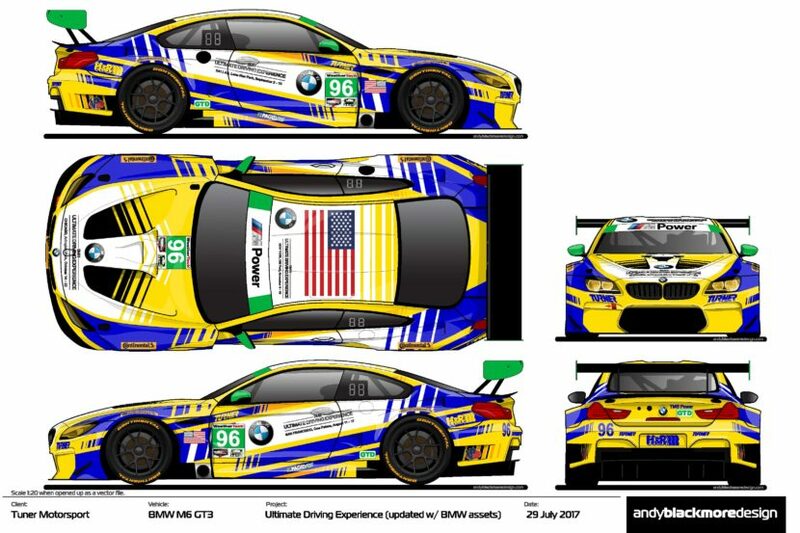 96 Turner Motorsport BMW M6 GTD racing car will see a new addition for the upcoming IMSA WeatherTech SportsCar championship races at Road America and Virginia International Raceway as the stalwart BMW NA customer racing team partners with BMW of North America to race in support of the BMW Ultimate Driving Experience. Highlights of the event include a new “Ultimate Driver” competition and a BMW Teen Driving School course based on the program taught at the BMW Performance Centers in Spartanburg, S.C., and Thermal, Calif.
Anchored by BMW Motorsport driver Jens Klingmann, privateers Bret Curtis and Justin Marks have co-driven this year with Klingmann with Marks sharing a season’s-best third place finish at the Sahlen’s Six Hours of The Glen in July. 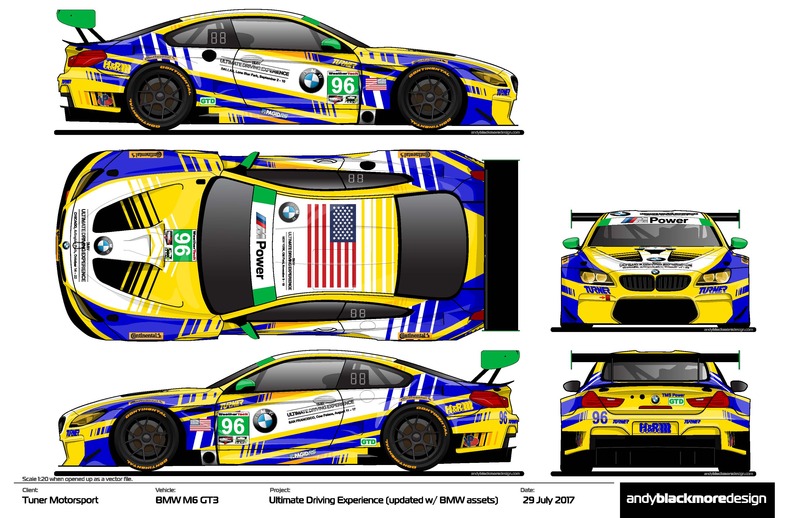 At Road America and VIR former BMW Junior Jesse Krohn with drive with Klingmann.